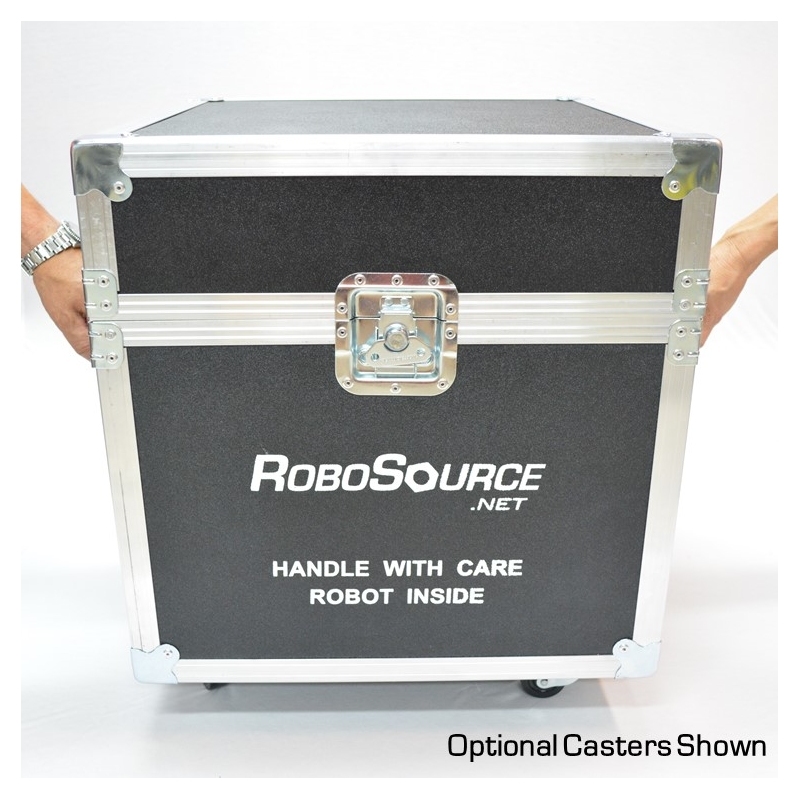 Robosource's Robot Case is the ultimate solution to transport your VEX Robots! 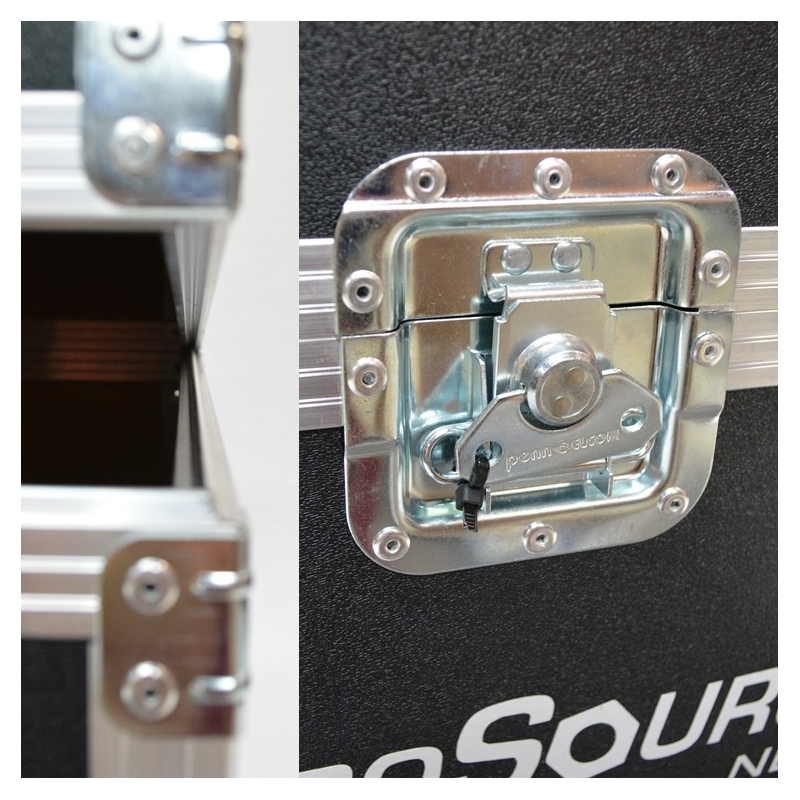 Durable, high strength hard-sided flight case keeps contents safe at a price everyone can afford. 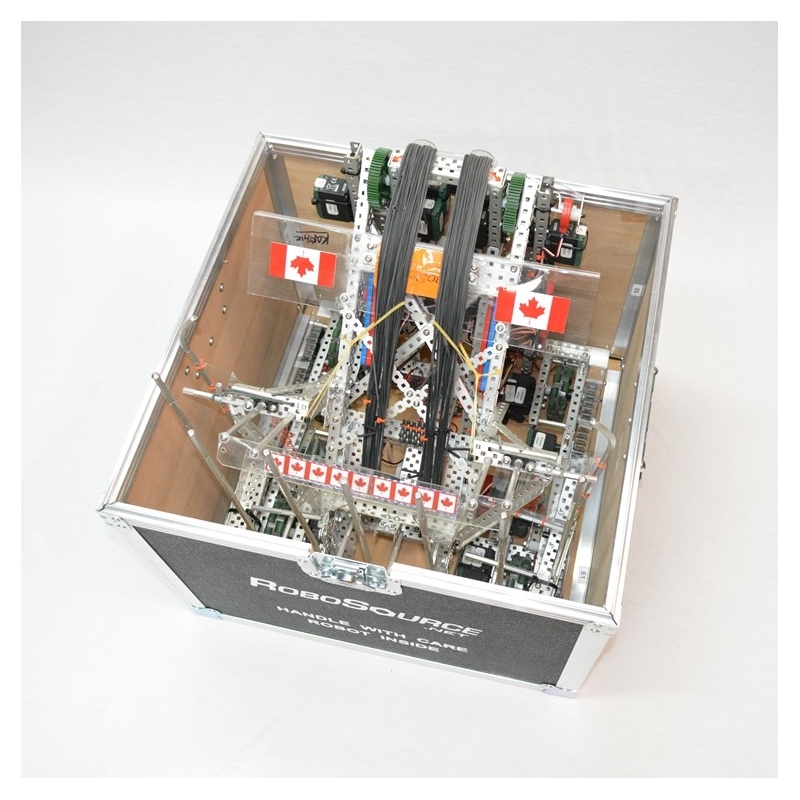 Designed specifically to fit and protect VEX Robots while being accepted as standard size checked luggage, you can take your robot on flights with confidence. 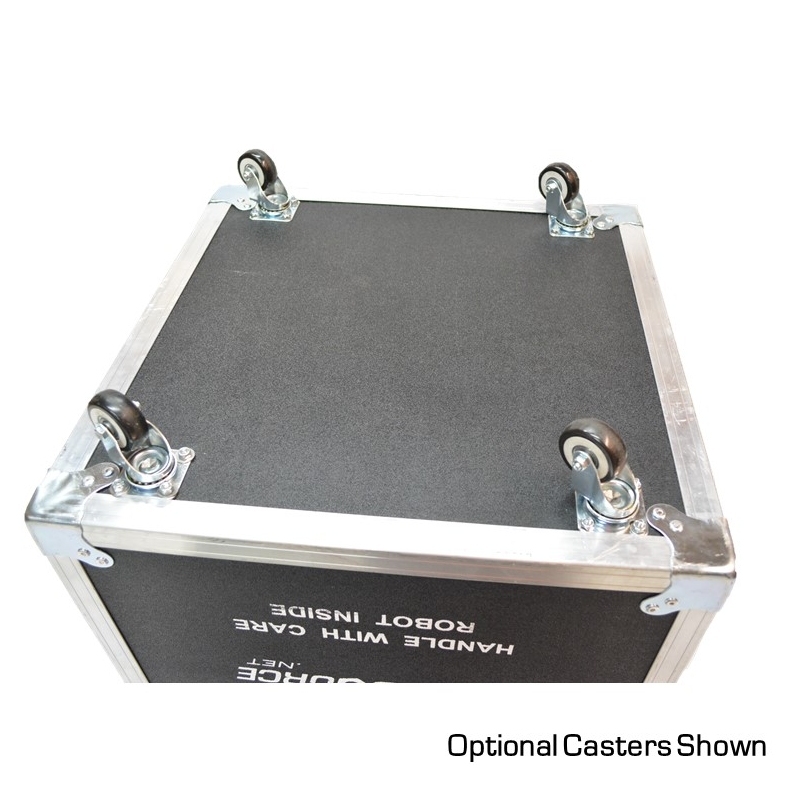 Add fixed or quick-change removable casters to your robot case for easy transport, or install a high density foam lining inside for extra padding. Sized to perfectly fit any VEX Robot with inside dimensions of 19.25” cubed. Outer size of 20” cubed fits most airlines’ checked luggage size limit, meaning you can take your robot to far away events without paying extra. ABS Plywood Laminate sides, Aluminum Extrusions, and quality hardware keep contents safe through rough handling, all while being lighter than the comparable Pelican 0350 Case. 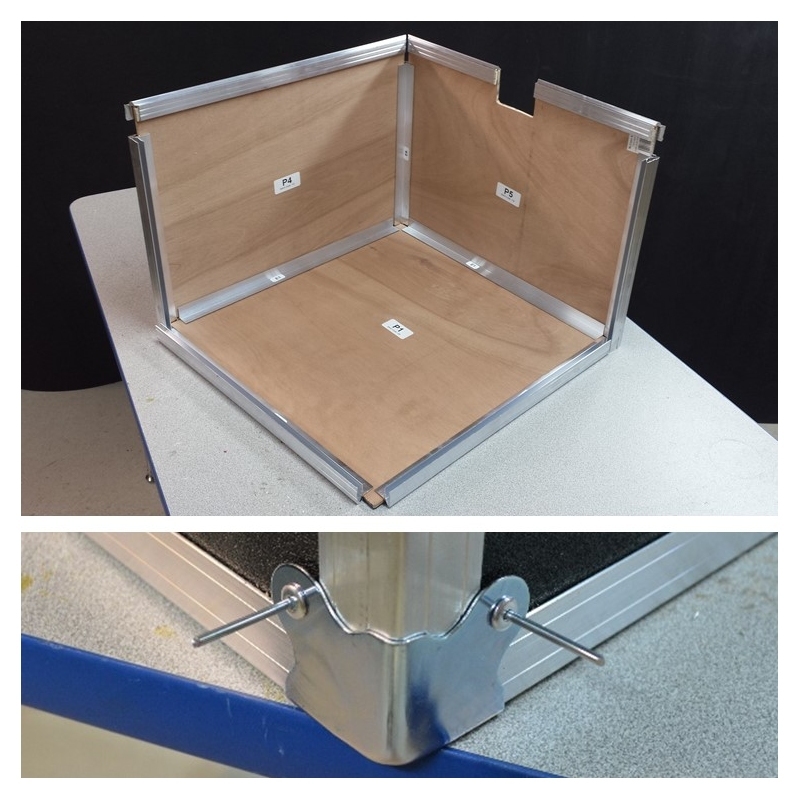 Fully pre-cut panels slide right into slotted aluminum extrusions and corner braces hold everything together. Watch the Assembly Video or follow the step-by-step photo instructions. All you need is a drill and inexpensive hand riveter. 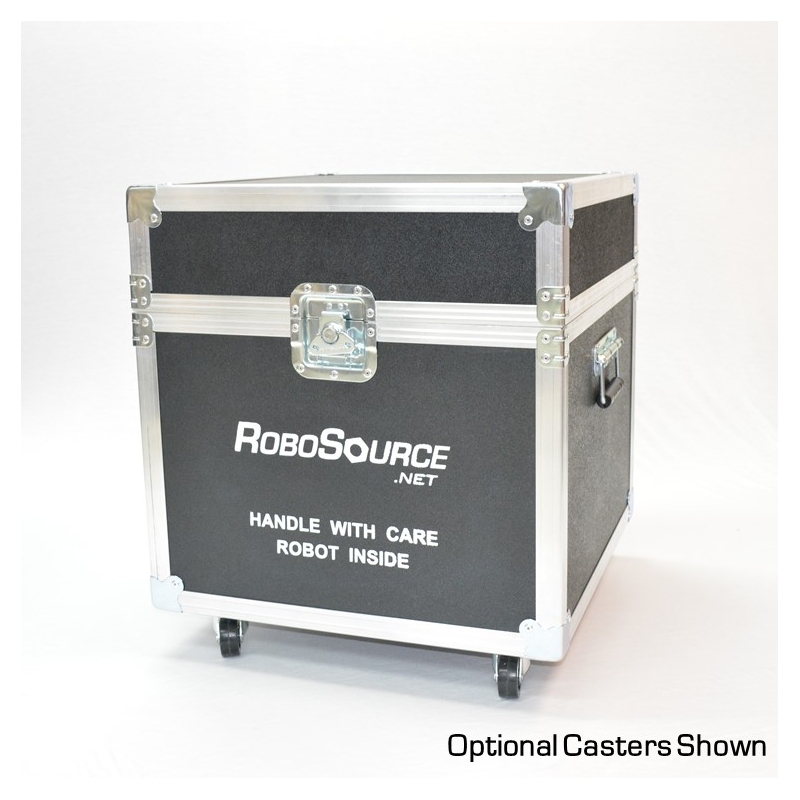 Move your robot case comfortably with padded rubber handles. 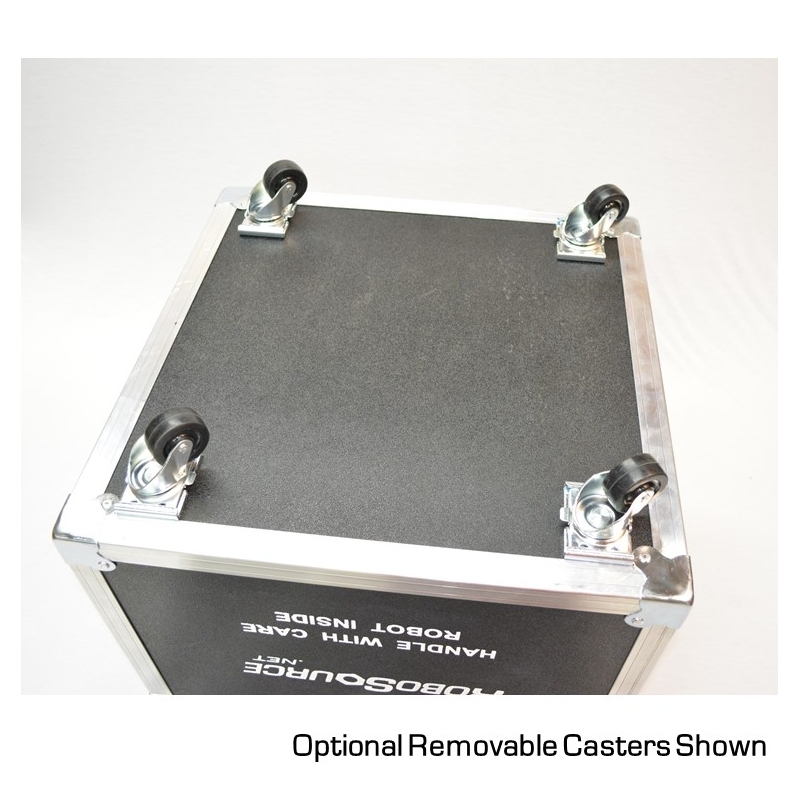 For even easier transport, add smooth gliding casters under your case. 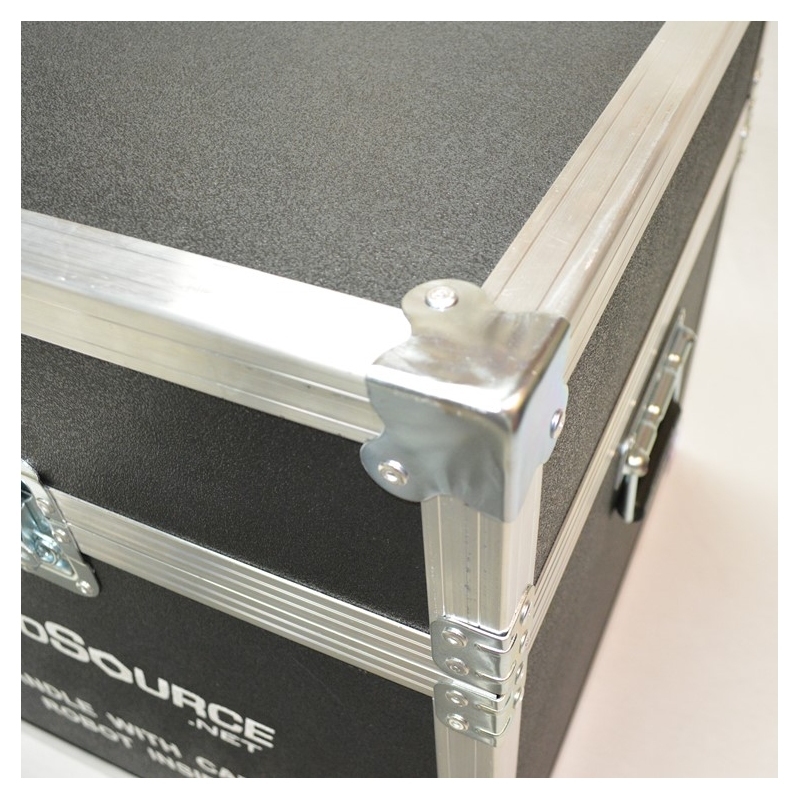 Heavy duty latches hold the case lid closed firmly, tongue-and-groove extrusions around the entire edge keep it secure while blocking dirt and water spray. For added peace-of-mind, latches can be zip-tied shut. 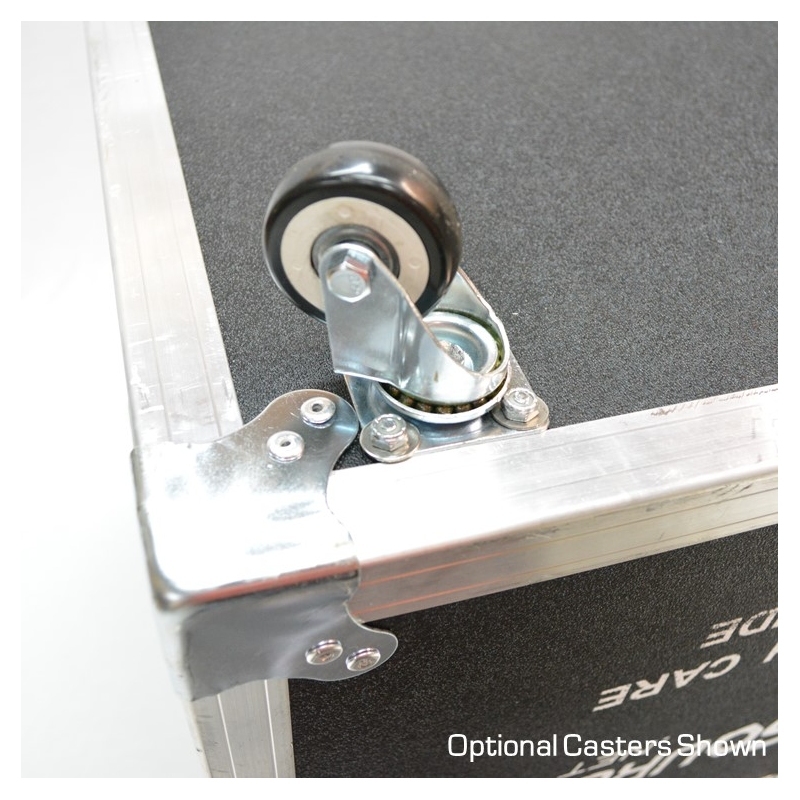 Optional removable casters can easily slide on and off of the case when checking in for a flight or loading the case for transport. Also allows multiple cases to be neatly stacked. 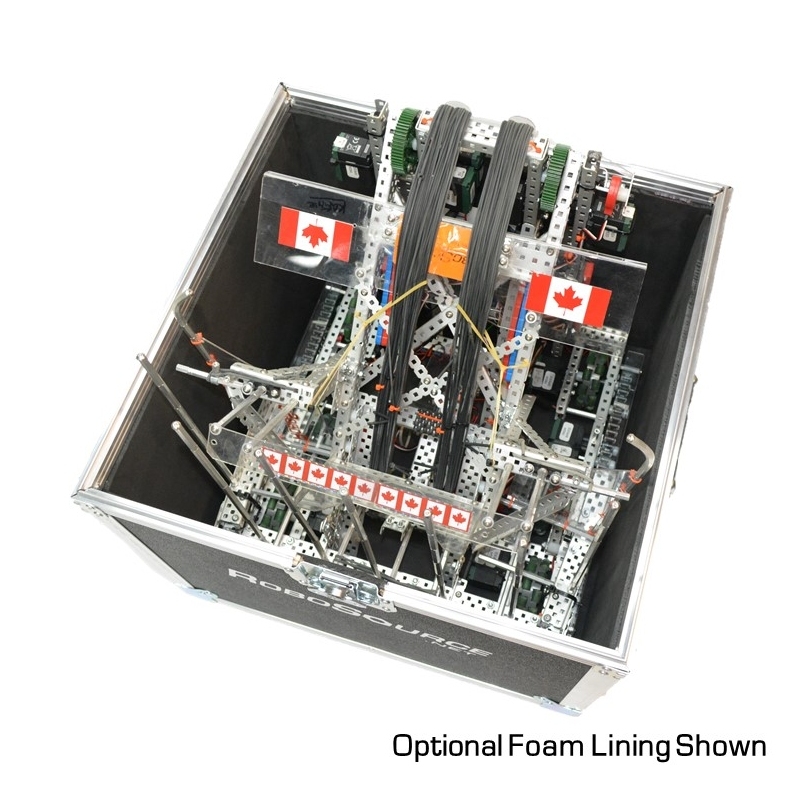 Adding high density foam to the inside of the case offers even more protection for your robots. Lines the bottom and sides of the case, excluding the lid. When adding casters, a Philips screwdriver and 3/8” (or adjustable) wrench are also used. To add foam to the inside of the case, hot glue is also required. 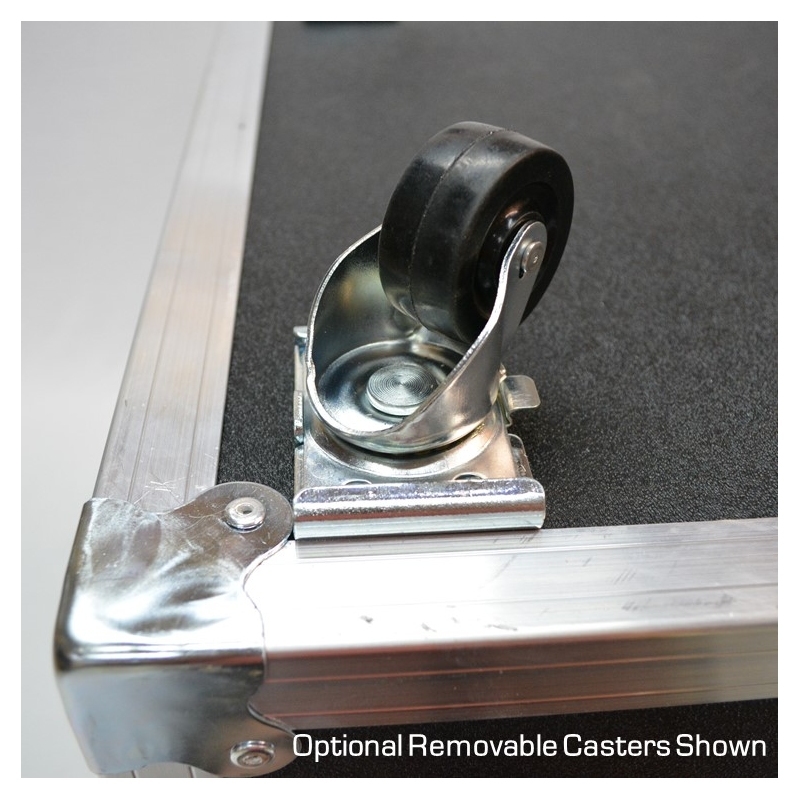 Fixed casters are perfect for most cases. 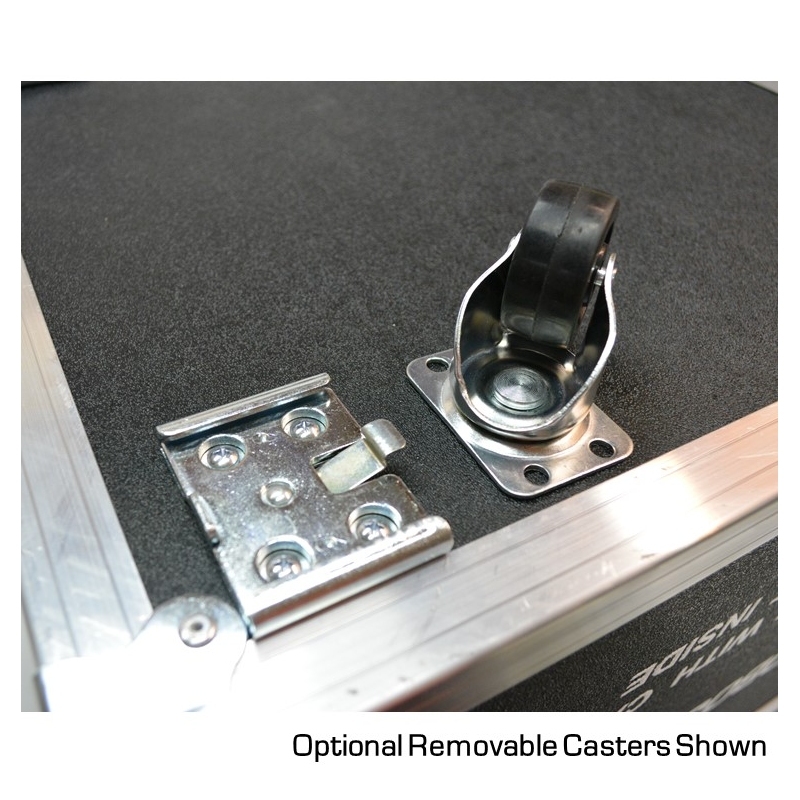 However, if you are planning to check your case on a flight you may want to consider removable casters for two reasons. 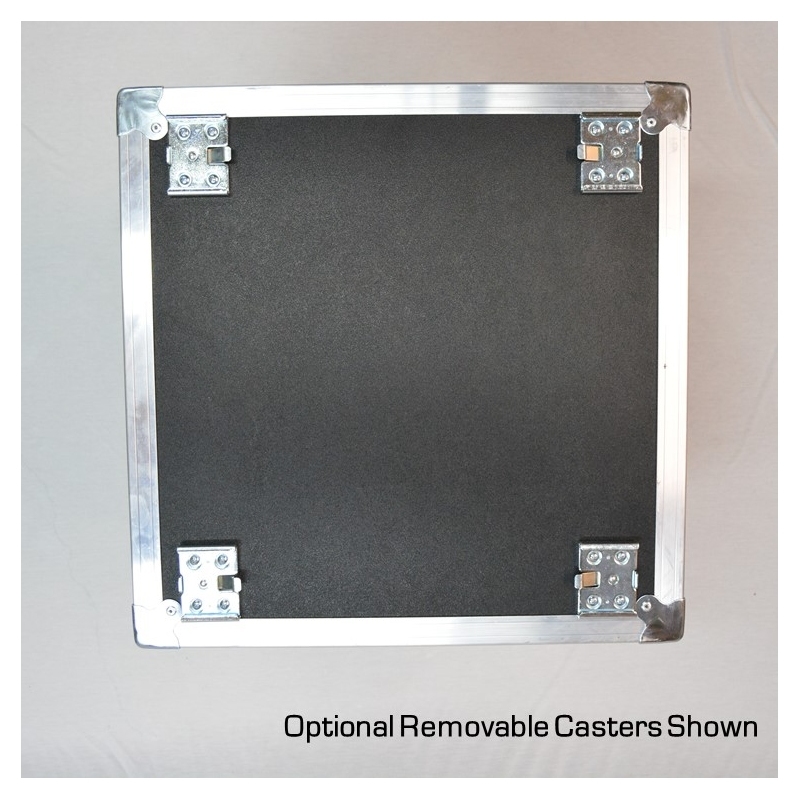 First, if your airline is very strict with measurements, the case with casters attached is slightly larger than the standard 62” limit (although we’ve never run into any issues). Second, if your case has casters on it, baggage handlers will tip it on its side so that is doesn’t roll around on conveyors and in the aircraft, so be sure to keep this in mind when packing your robot. 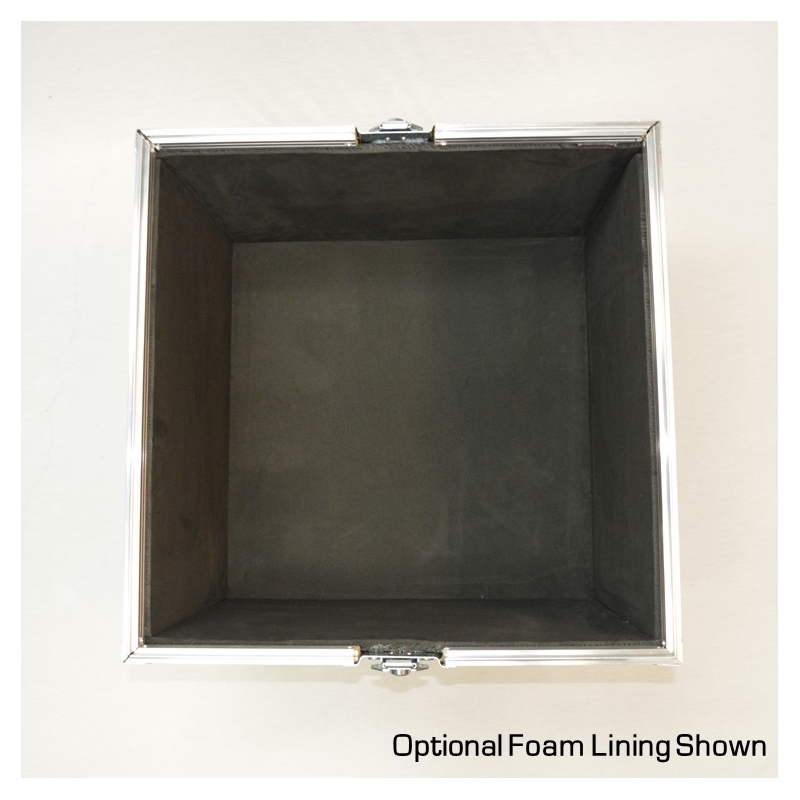 Outside Dimensions: 20" x 20" x 20.2"
Inside Dimensions: 19.25" x 19.25" x 19.25"
Inside Dimensions with Foam Added: 18.4" x 18.4" x 19.25"